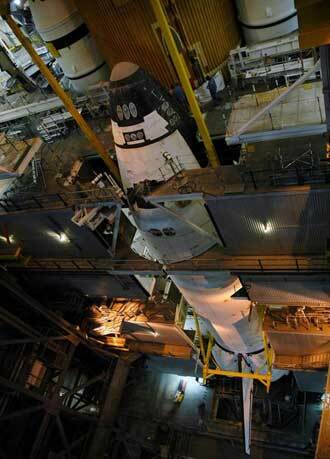 On Monday, July 31, Atlantis is scheduled to roll to Launch Pad 39B with first motion targeted for 12:01 a.m. EDT. The launch window for this mission to resume construction of the International Space Station opens Aug. 27. During their 11 days in space, the astronauts will install the integrated P3/P4 truss segment with its two large solar arrays that will provide one-fourth of the total power generation capability of the completed station. The STS-115 crew consists of Commander Brent W. Jett, Jr., Pilot Christopher J. Ferguson and Mission Specialists Heidemarie M. Stefanyshyn-Piper, Joseph R. Tanner, Daniel C. Burbank and Steven G. MacLean, who represents the Canadian Space Agency.